Athletes are prone to experiencing a range of injuries and the same applies to active individuals. The tendons are quite vulnerable and they can easily be damaged through poor workout practices. Though it’s far from the most common condition, peroneal tendinosis does occur among numerous active individuals. It’s a painful condition that needs to be diagnosed and treated quickly to guarantee full recovery. Concerned you may be suffering from peroneal tendinosis? Here’s everything you need to know about the condition, the way it manifests itself and most adequate treatment options. • peroneous (peroneus) brevis (or fibularis brevis) tendons. Tendinosis (sometimes called chronic tendinitis, chronic tendinopathy, or chronic tendon injury) refers to the thickening and swelling of the peroneal tendons. Very often, it may be confused for muscle sprain or injury because of the pain that sufferers experience and the fact that the condition doesn’t occur all that often. Such repetitive exercises (running is just one example) could put unnecessary strain on the same part of the body. The swelling and thickening of the tendons are characterized by a couple of symptoms that can easily be confused for something else. Most people that have experienced the condition describe the pain as if it were “wrapping” around the foot and going up on both sides to the ankle. In some more serious cases, the pain could extend upwards, as well. It will be dull and pulsating, rather than sharp. The movement will aggravate the pain and the surrounding skin will feel warm to the touch. The severity of the symptoms will depend on the degree of thickening and swelling. It will also be impacted by the number of tendons affected. Some people have only one of their tendons affected by peroneal tendinosis while in other instances, both of the tendons will be damaged. As already mentioned, conditions like peroneal tendinosis or tendonitis are caused by repetitive exercises. Other athletes can also suffer from peroneal tendinosis, especially if their workout regimen puts a lot of strain on the tendons. Beginners that haven’t established safe training practices yet are most prone to experiencing the sudden onset of peroneal tendinosis. The same applies to people that suddenly decide to increase their level of physical activity, regardless of the fact that they’re out of shape. 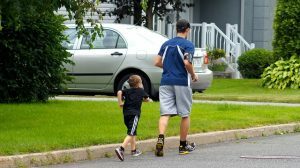 Individuals that don’t invest in the right protective gear, especially high quality running shoes, are putting themselves in a serious danger of tendon injury, as well. Finally, research suggests that the use of certain medications increases the risk of non-inflammatory tender degeneration. If you’re experiencing any pain and swelling in the region right underneath the ankle (on the back of your foot), you should see a doctor immediately. When left untreated, peroneal tendinosis could contribute to some complications. The diagnostic process is a simple one. A physician will first take the patient’s complete history, including lifestyle. People that are a runner, ballroom dancers and the ones that have suddenly increased their activity level are at the The minimum recommended recovery period highest risk of experiencing peroneal tendinosis. Ultrasound is another very effective diagnostic tool that can be used to identify the exact cause of the pain. 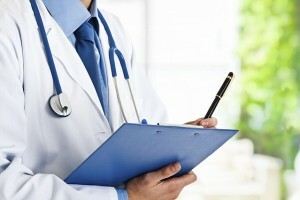 Depending on the severity of the condition and the difficulty of the diagnostic process, a physician may order an MRI. It’s incredibly important to rule out tears and other more severe traumatic injuries. People that have been diagnosed with peroneal tendinosis will get several suggestions that will contribute to faster healing. » RICE: the most conservative non-invasive treatment option for inflammation-free injuries is called RICE, which stands for rest, ice, compression and elevation. People that suffer from peroneal tendinosis will experience major relief by doing these four simple things. » Rest: peroneal tendinosis is an overuse injury. When diagnosed early enough, the condition can disappear on its own. The body has amazing regenerative powers. Active individuals will simply need to rest until the pain and swelling go away. 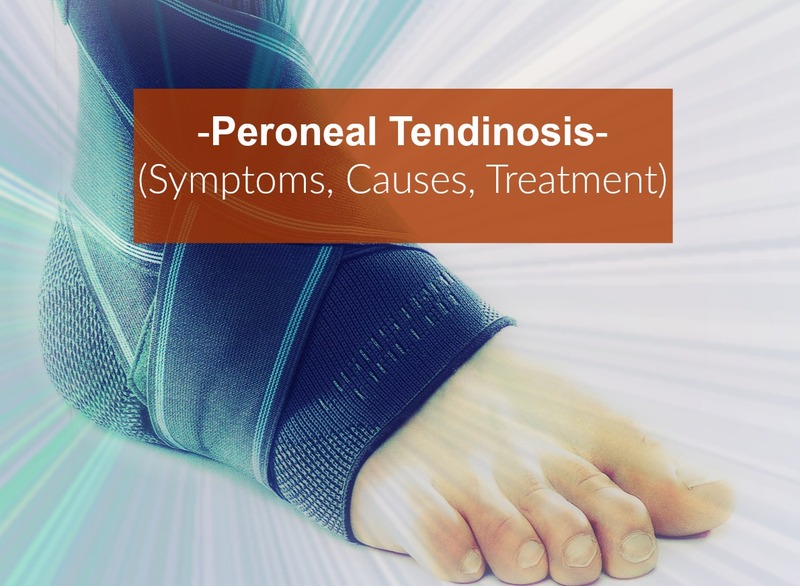 In most cases, peroneal tendinosis will resolve on its own within a couple of weeks (light walking is permissible but workout sessions will have to be discontinued). » Eccentric loading: this form of physical therapy is one of the most popular treatments for peroneal tendinosis. Eccentric loading refers to a series of exercises that is used to place some positive force on the damaged tendons. Because a specific type of force is applied to the tissues, these get strengthened and repaired faster. » Sports massages and deep tissue massages: massage doesn’t affect the condition of the tendon itself but it can be quite helpful. Sports and deep tissue massages can relax the tight muscles that sit on top of the peroneal tendons. Relaxed muscles reduce the friction between the tendons and the bones significantly. Regular massage sessions can thus speed up the recovery by reducing irritation. » Orthotics: orthotics can be used to keep the foot in a correct position that reduces the strain on the peroneal tendons. Alternatively, a physician may recommend the use of a brace for a limited period of time. It does the exact same thing. The brace immobilizes the leg and supports the tendons. It’s particularly good for the individuals that are still going to do repetitive motions while recovering from peroneal tendinosis. » Kinesiology tape: the use of this product is considered a supportive treatment because kinesiology tape can’t resolve peroneal tendinosis on its own. When applied professionally, kinesiology tape is great for pain relief and giving the injured foot a bit of additional support. 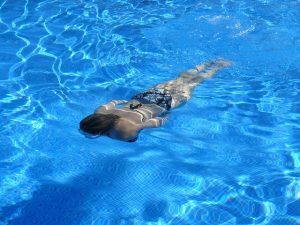 It increases blood flow and lymphatic drainage, helping the body speed up the natural recovery process. » Medications: if the pain is severe and causing a lot of discomfort, the physician may recommend the use of pain killers. These don’t help for faster recovery but they make symptom management easier. » Extracorporeal shockwave therapy (ESWT): more research will be required about the effectiveness of this treatment method but preliminary studies have been promising. ESWT refers to the use of high energy ultrasonic waves. The technology already has applications in medicine – ESWT is an effective treatment for kidney stones. When it comes to healing athletic injuries, ESWT puts stress on certain parts of the tendon. As a result, it “kickstarts” the healing process. Researchers believe that shockwave therapy could be particularly beneficial for the treatment of tendon issues that have a non-inflammatory nature. » Surgery: the treatment of peroneal tendinosis involves invasive procedures extremely rarely. If the injury is severe, the tendon may have to be repaired surgically. In some instances, a physician will have to cut out the damaged part and reconnect the tendon. Sometimes, the surgery may focus on the fibula. In such instances, more space is made for the tendon to prevent excessive rubbing. Surgery is a last-resort option. If peroneal tendinosis is treated in a timely manner, a surgical intervention would be unnecessary. How Much Time is The Recovery Going to Require? The answer will vary from one person to another. The good news is that in most cases, people get to overcome peroneal tendinosis completely. Rest and elevation will usually be prescribed for a couple of weeks. People that undergo surgery will need a much longer recovery period than the ones that don’t. During that period, the use of crutches or a wheelchair will be suggested to protect the injured leg from further strain. Usually, an orthopedic surgeon or professional will suggest physical therapy even after the tendon swelling subsides. Thus, months may pass until an active individual goes back to their typical workout schedule. The exercise routine should be re-introduced gradually. Otherwise, a tear may develop or the thickening of the tendon could become chronic. The prognosis in these instances isn’t positive. As already mentioned, it’s incredibly important to seek medical attention as soon as the pain begins. Many people brush it off and expect the condition to resolve on its own. Though the scenario is possible with peroneal tendinosis, there’s a risk of certain complications. Repetitive motions will keep on damaging the same spot until an invasive treatment becomes mandatory. If a tear occurs, a surgical intervention will be required. Tendons that are seriously weakened can contribute to other types of problems. Chronic instability is another complication that results from the thickening of the peroneal tendons. Eventually, the ankle cartilage could get damaged because the tendons don’t provide the support that they’re supposed to. A surgical treatment for peroneal tendinosis comes with several risks of its own. The most common complication is an infection. Rarely, the surgery could affect the sural nerve running down the leg. It’s possible to experience loss of sensation if the nerve is cut. If you like being active and you enjoy running, there are certain things that you can do to reduce the risk of experiencing peroneal tendinosis. The simplest and most effective strategy involves changing your workout routine. Peroneal tendinosis is an overuse injury. It occurs if you stick to the same thing time and time again. You can have a jog one day, ride the bike next or go for a swim. Having diversified workouts prevents the same tendons from getting overused. Plus, you’ll strengthen your entire body, which is an added bonus. If you’ve been inactive, you’ll have to build the workout intensity gradually. Start with mild exercises and do thorough stretching in the beginning and the end of every session. As you become more confident and your endurance increases, you can increase the intensity of the exercises and the length of your workout sessions. These are just two of the things that can reduce the risk of overuse tendon injuries. Still, they aren’t enough to make workouts optimally safe. To accomplish the goal, you’ll have to invest in quality footwear. This is true for joggers, fitness enthusiasts, people that do step aerobics and all other active individuals. Highly quality athletic footwear cushions and stabilizes the foot. It helps you maintain good posture throughout the workout, which reduces the risk of putting a strain on the wrong parts of the body. Physical activity is incredibly important to maintain good health and do effective weight management. Exercise, however, has to be done carefully. If you’re negligent about it, you could experience injuries that will be easy to prevent otherwise. Peroneal tendinosis is one such overuse injury. Though it’s easy to treat, peroneal tendinosis could be ignored altogether or misdiagnosed. Even if you worry about recovery interfering with your training schedule, you’ll have to seek medical attention. The sooner you have the medical issue identified, the easier the treatment’s going to be.